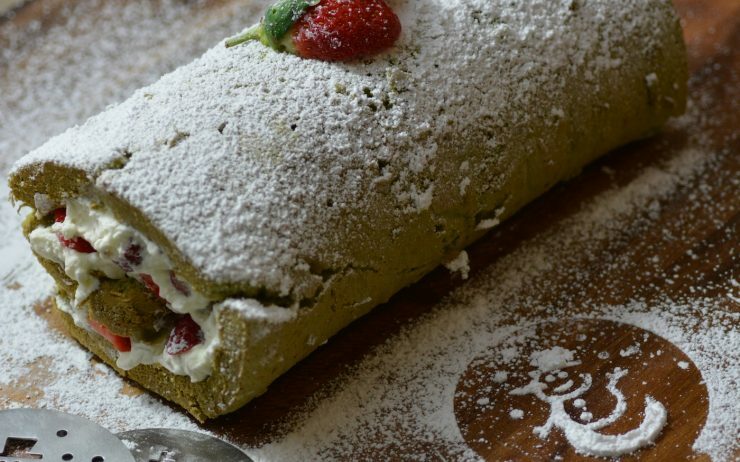 Matcha and strawberries turn this roll cake into a festive fusion dessert for a very merry Japanese Christmas. This is one of my favorite cakes to bake all year around but it works particularly well as a Christmas-themed dessert. 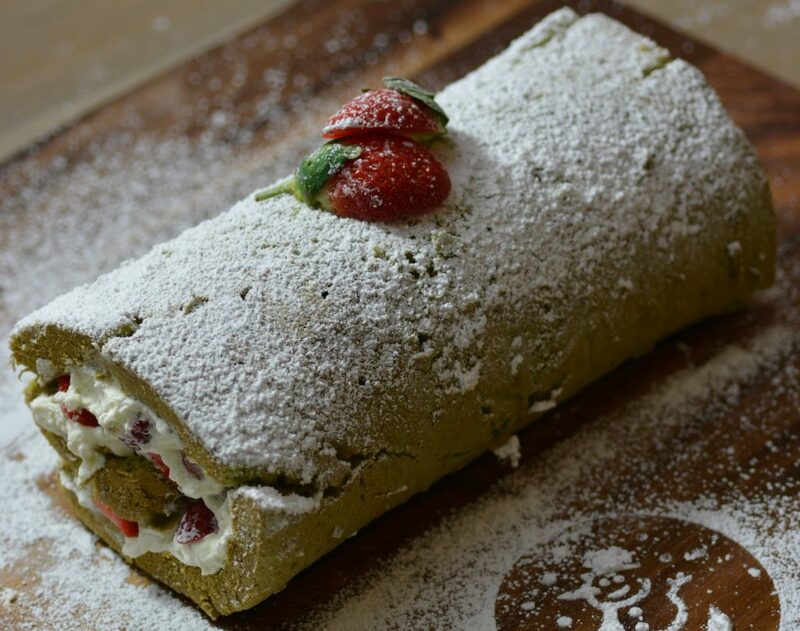 The vibrant green from the matcha powder and the red from the strawberries turn this simple roulade recipe into a festive fusion treat that takes less than 30 minutes to make. 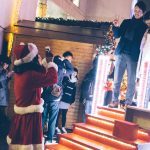 The perfect combination of a traditional Yule Log (Bûche de Noël) and distinct Japanese flavors, try this recipe for your family and friends in Japan over the festive season. 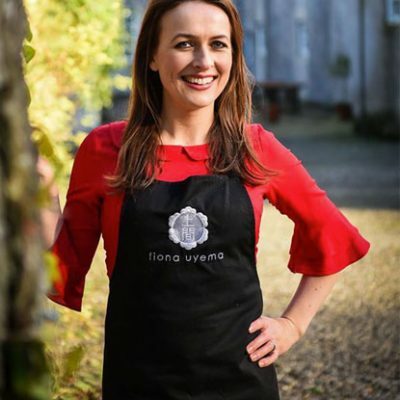 You can prepare it a few days in advance and store in the fridge – the hard thing will be trying not to eat it beforehand! Preheat a fan oven to 180 degrees Celsius/356 degrees Fahrenheit. Whisk the eggs and sugar in an electric mixer for about 10 minutes until nice and fluffy. 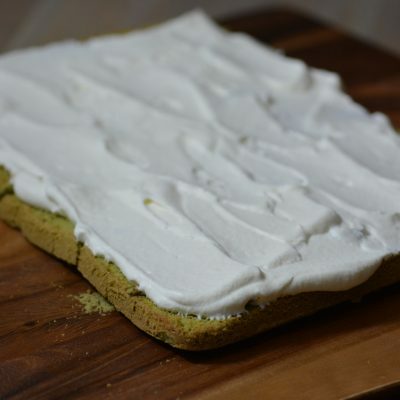 Sieve the flour and matcha together a few times to make sure the matcha powder is completely mixed into the flour. Using a large spoon fold the sieved flour into the egg and sugar mix. Make sure that the flour is completely mixed in so that you see no lumps. Carefully line a baking tin with greaseproof/baking paper (I grease this lightly with butter). 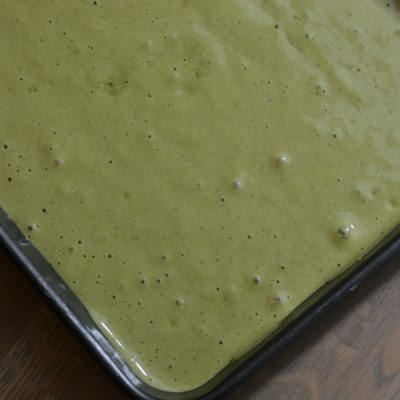 Pour the batter onto the baking tin (using a spatula gently even out the batter). Remove from the oven and allow to cool for a few minutes in the sheet pan. Turn the cake over onto a clean dish towel. Now carefully tear away the greaseproof paper from the cake. 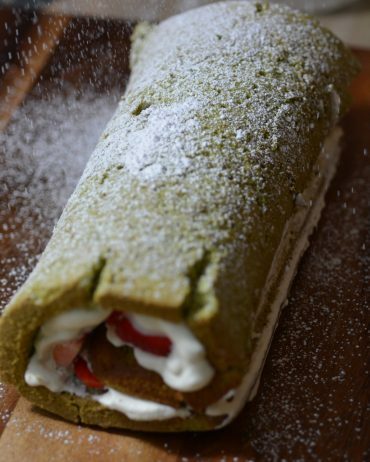 Roll the cake in a clean tea towel and allow to cool (this will avoid it breaking later). Unroll the cake when it is cool. 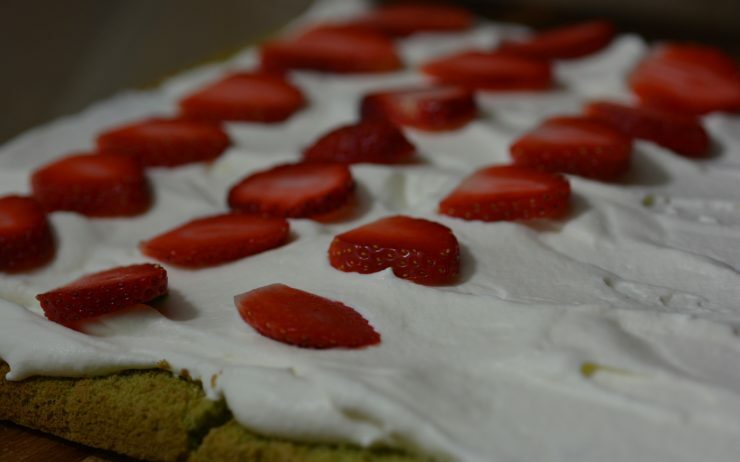 Spread the whipped cream mix evenly on the cake and place the strawberry slices uniformly in rows on the fresh cream. 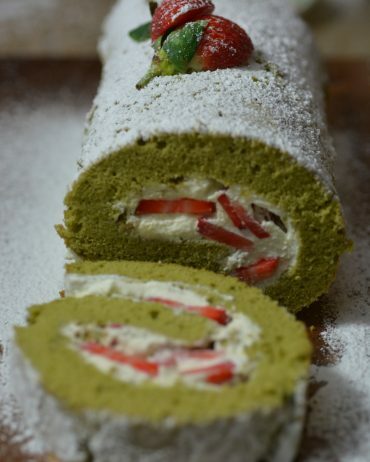 Roll again and dust with icing sugar. 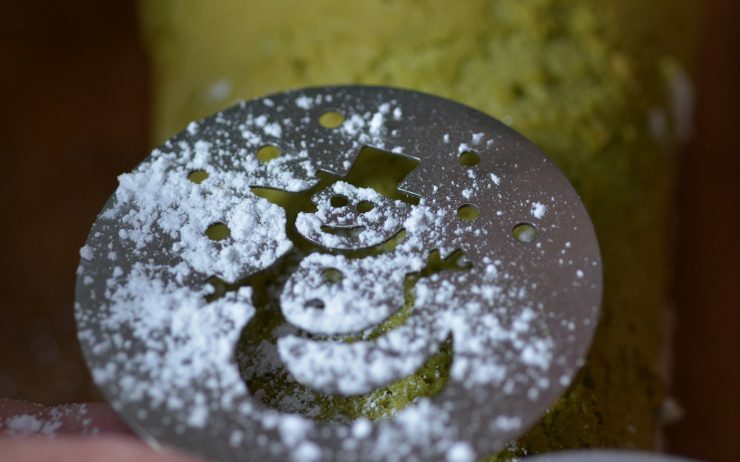 Decorate with strawberries and icing sugar (using the Christmas stencils). 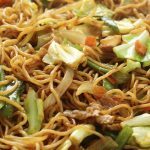 Yakisoba is one of the easiest festival foods to make at home outside of Japan. 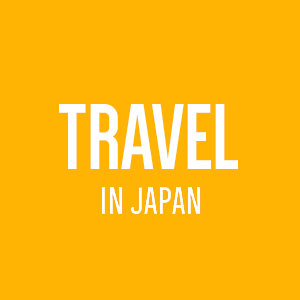 Try this quick recipe for a taste of Japanese matsuri, wherever you are in the world. 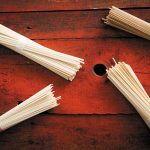 These 10 ingredients will help you easily cook lots of tasty and time friendly Japanese dishes.